Credits: Ville Laihiala – vocals. Miika Tenkula – guitar. Sami Lopakka – guitar. Vesa Ranta – drums. Sami Kukkohov – bass. 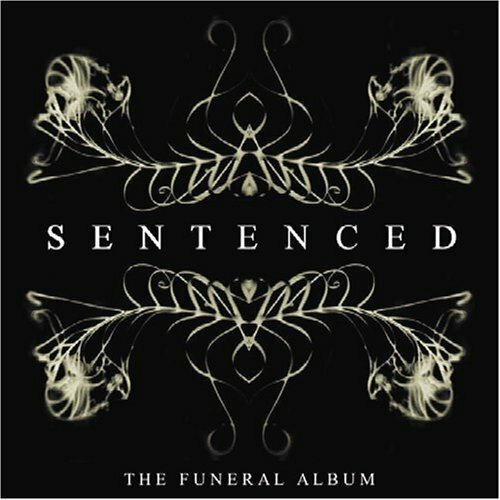 Sentenced goes out with a bang, or at least one last slab of ridiculously catchy, old-school heavy metal with amusing lyrics and sometimes disappointingly simplistic guitar playing. But so what? There may not be any Petrucci’s in Sentenced, but this is a band that remembers that heavy metal can be fun! No screaming, no death metal elements remain, but Sentenced somehow found a way to be extremely catchy without playing power metal. The catchiest, most sing-along songs are May Today Become the Day, Vengeance is Mine, and Drain Me. I wouldn’t call this music depressing, but Sentenced love the negative lyrics and this is no different. One of the songs, a short instrumental track, harkens back, for no apparent reason, to the North From Here days and seems out of place on this kind of album. It may be a quick nod to the past for Sentenced’s swan song. I love this album. Basically, if you hated The Cold White Light, this won’t interest you either. If you’ve enjoyed everything post Down, you’ll love this one too.